Having kids doesn't mean you have to put your passions and interest aside, you just have to adjust your expectations and get creative to keep being the creative goddess that you are. In many ways having children has helped me explore my creativity in new ways I would have never done so without my little ones in my life. In fact the reason why I became a graphic designer and blogger was because I wanted to learn how to scrapbook all my kids photos on my computer. I have learned that looking at the world through a child's eyes again is one of the most magical and creative things in this world and I am so blessed to have the opportunity to be a mother and a creative soul at the same time. The two compliment each other. With all that said, I can easily get lost in all the to-do's of motherhood and forget to make time for fun and creativity. 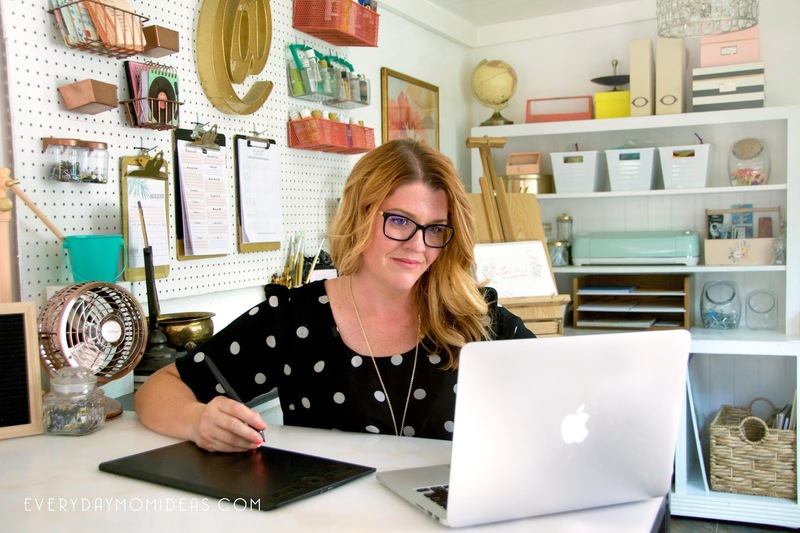 So here are my top ten ways to feed my hungry creative soul daily while being a busy mom of four kids. 1. Create stuff with your kids: The number one way I get to be creative is if Im sharing that creativity with my kids. How cool is it that we get to share all this artistic goodness with the next generation of humans?! Don't be hesitant to get back to basics with your kids, and color, finger paint and do fun paper crafts. Its more fun than you remember I promise. Also remember to get creative with your kids with the expectation that there will be mess and frustrated kids who are learning. Put on some fun music and just do it, what ever project that rocks your boat have your kids in tow. unless its metal work with a blow torch. You might want to get a baby sitter and save that project for when you can be without kids hanging on you. 2. 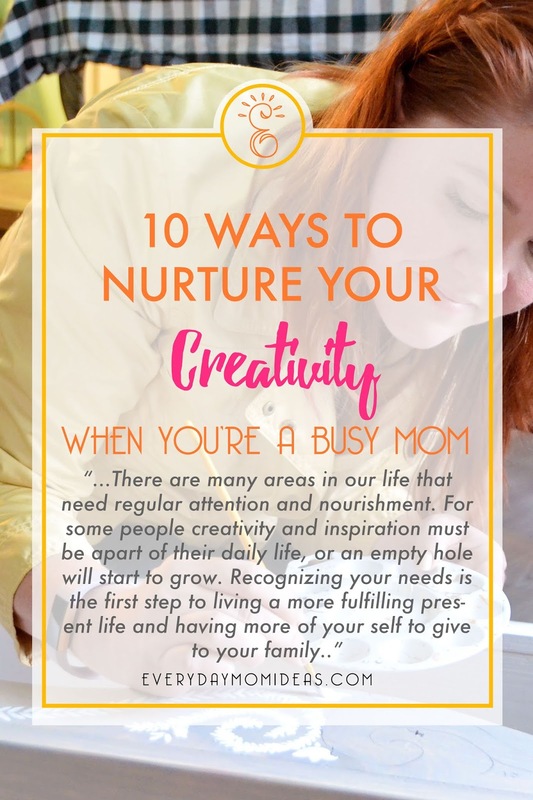 Schedule a Weekly Creativity Date with Yourself: In my early twenties when I was learning to be a new mom, I had a friend tell me that she got Tuesday nights all to herself in her own house. She had four kids at this point but every Tuesday night her husband would give her the entire night off to do projects and crafts from four to midnight... without bothering her! This was revolutionary to me. What?! You don't have to spend every waking moment with your kids?! Schedule in a night off once a week, and make it happen even if your family doesn't understand at first. They will see the benefits soon enough. 3. Take Your Kids To Museums, Festivals, and other Artistic Events: Just being able to share artistic events with your family can be so uplifting and renewing. There is usually something for everyone at art museums, festivals, story book reading time, and other points of interest, so everyone in your family can enjoy it and be entertained. If you have little ones make sure to only schedule about 30 to 60 minutes incase they get restless with their small attention spans. Remember to make it fun and have realistic expectations. 4. Get Creative With Creativity: There is so many opportunities to be creative in motherhood. There is always school projects to help with, Halloween costumes to make, rooms to decorate and so on. The creative life can be found anywhere and thats what makes it beautiful and accessible to anyone anywhere. Use your strength of creativity to your advantage in parenting and life, god gave it to you for a reason, he wanted your children to have a creative mother. So use it. Use it everywhere you can and you will be happier and more fulfilled than ever before. 5. 15 Minute Creativity Journal: A blank art book can be a powerful thing. Take it every where with you or next to your bed at night and set a goal to doodle or write in it for five to fifteen minutes a day. It doesn't even matter if its any good. Spending a few minutes to nurture your creative side is so good for the soul. If you are a creative person than you know that nurturing that aspect of who you are is just as important as daily exercise, healthy eating and saying your prayers. 6. Theres An App For That: If you are always on the go that your phone can be one of your best creative friends. 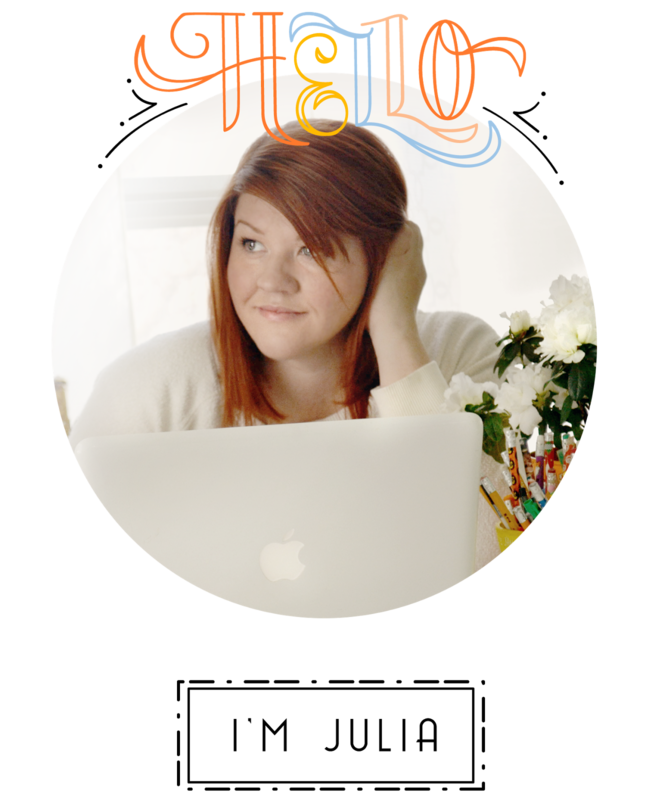 There are so many fun apps for the creative person out there. Im loving Pro Create. Its one of the most powerful art apps I have come across and most professional artist are moving over to it especially since the release of the new iPad pro and the apple pen that can now simulate real time drawing with pressure sensors. Be still my beating heart! Apps are becoming a great tool to help shorten the time it take to create a masterpiece. Great for the busy mom. 7. Make a Paint Night Girls Night: You don't have to be a painter to enjoy and good paint night at home. There are TONS of youtube paint night tutorials out there. My best friend and I recently did a paint night at her house. We got the supplies at a local art shop and sat in her living room, while we paused and played the video over head. It was such a blast and we didn't even have to dress up. The thing I love about paint night is that the painting are designed to be easy but pretty. It takes so much of the stress away to just be able to follow along. Plus if you invite some girlfriends over you can get your social meter filled as well. Because busy moms know how to multitask like a boss. 8. Creative Date Night: If you are married than you probably already know how important date night is. My husband and I like to take turns planning the date, its also nice because the pressure is not always on the husband to plan something. I like also like taking turns with date night so I can plan some creative dates once in a while and share that side of my creative life with him. 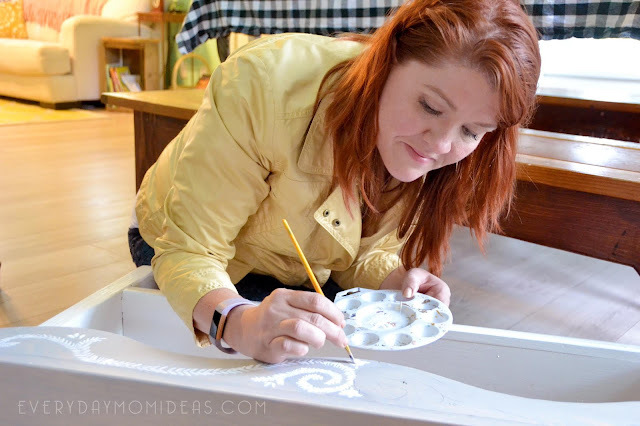 Your spouse doesn't have to be creative to enjoy creative dates once in a while. 9. Class Up Your Act: Taking a creative class can be hard for some of you mamas out there but a lot of community classes only last for four to six weeks so that can be easier for you to swing if its only for a limited time. I definitely recommend taking an art type class once in a while. Sometimes you can find places that put on a workshop for one night only where they are teaching that skill in a two to three hour class. Also check your local library. A lot of libraries these days offer amazing free classes and workshops. There is this funny saying "I make stuff because I get sad if I don't." That is so true for a lot of moms out there. Sometimes when I am feeling blue for no reason I realize I haven't worked on a project in a while. There are many areas in our life that need regular attention and nourishment. For some people creativity and inspiration must be apart of their daily life, or an empty hole will start to grow. Recognizing your needs is the first step to living a more fulfilling present life and having more of your self to give to your family.